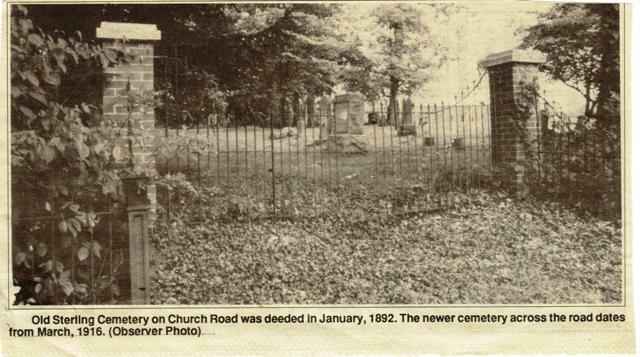 Old Sterling Cemetery, located on the northwest corner of West Church Road and Cascades Parkway, has recently been restored. Dead trees and undergrowth have been removed. The old wrought iron fence repainted. Headstones reinstalled and straightened with the inscriptions recovered by rubbing's. The project to reinstall the stones and recording of the information was designed and managed by David Lewis as part of his certification program for Eagle Scout. He drew up the plans and then supervised a large group of his fellow scouts from Crew 1173 along with parents and siblings. They also performed trimming and general cleanup. The results were quite remarkable. 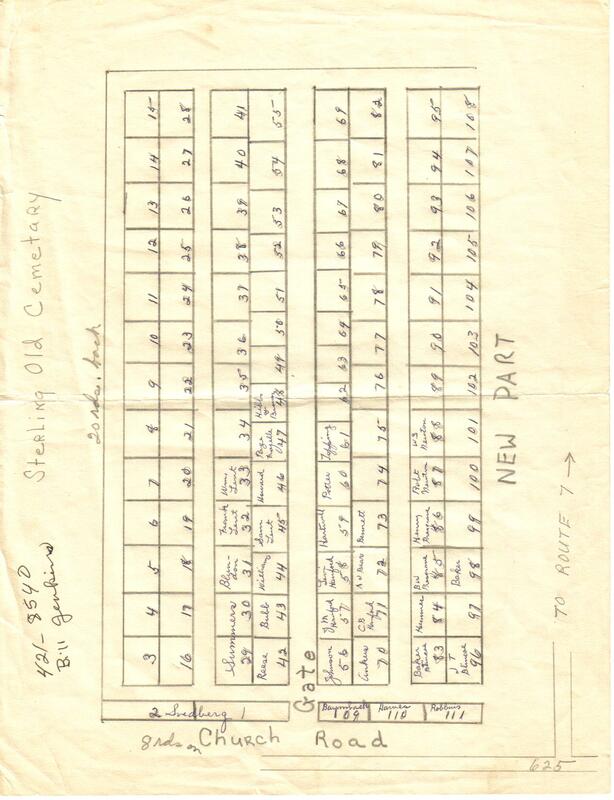 His diagram of the headstone layout has been included below.